In addition to our highly anticipated Top 20 Best Restaurants list, we unveiled our pick of the year's top tastemakers, bars and restaurants for our annual Best Of The Year awards. Click through the gallery to see who took home the trophies this year. Two years ago, when Nicolas Lambert arrived in Hong Kong to take up his current role at Caprice, we were blown away—he created desserts that were architectural wonders of the sweetest kind, with delicately spun sugar and curiosities, such as wheels fashioned out of chocolate, defining his creations. It can be difficult to sustain such levels of greatness, but instead of plateauing, Lambert has proven that perfection is a moving target—and that he has the creative agility to keep up the pace. His dedication to working with seasonal fruits results in desserts that are as thrilling as they are ephemeral; cast an eye over his Instagram feed and you’re likely to spot him bidding a tearful emoji farewell to the last serving of his apricot and peanut dessert, or lamenting the end of French cherry season. Passion and precision makes for the best pastry chefs, and Lambert has proven once again that he is the leader of the pack. For this relatively young restaurant group, 2016 was already a landmark year, with three stellar new openings in the first six months alone. And it’s looking like another bumper year for restaurateurs Syed Asim Hussain and Christopher Mark, who have lifted the veil on three new venues in 2017: Le Petit Saigon, the tiny sister to Le Garçon Saigon, specialising in banh mi; New Punjab Club; and Osteria Marzia in newly refurbished The Fleming Hotel. Crafting a portfolio of distinct restaurants with personality—in terms of its food, as well as setting and service—is not an easy task, but Black Sheep has reached a confident momentum and has expanded its flock of loyal followers. Rumours of at least two more restaurants (one Japanese, one Mexican) are swirling, and with Black Sheep’s track record, they’ll certainly be projects to look forward to. In an era where mediocre drinks can sell for HK$180 and upwards, it’s utterly refreshing—in both senses of the word—to find a bar like The Old Man, where the drinks not only go for half the price, but exceed your expectations. Set up by a trio of bar veterans (Agung Prabowo, James Tamang and Roman Ghale), this tiny Soho drinking den is a tribute to Ernest Hemingway—the potent drinks are all named after the writer’s famed novels and his likeness at the back of the bar is fashioned from a patchwork of materials upcycled from the renovation of the space. At once subtle and surprising, The Old Man’s cocktails make fine use of unusual house-made ingredients—such as curry leaf-infused gin, sweet vermouth sous-vide pandan leaves, and copra fat-washed Applejack—to intriguing effect. Currently, there are nine signature cocktails on the tightly curated list and each brings its own personality to the palate. Work your way through them, slowly, and savour the story that unfurls. It should come as no surprise that Tate’s chef-owner Vicky Lau trained as a graphic designer, and was hands on when it came to dictating the look and feel of her Hollywood Road restaurant. Working in collaboration with architect James JJ Acuna, who conceived the spatial design and layout of the split-level venue, Lau has created a space that’s worlds apart from Tate’s original Elgin Street location. The larger venue allows, ironically, for the smaller details to shine—Lau’s favourite is the discreet, ink-black drawer into which diners are encouraged to place their phones to be more present during their meal. Other elements, such as the hand-etched flower and leaf motifs on steel tabletops, offer a sense of femininity in unexpected ways. Visually, the restaurant is like a Wes Anderson-inspired cotton-candy dream—millennial pink velvet banquettes and curved chairs in blushing sorbet shades, gleaming copper and gold, dreamy marble and stone tabletops all create a look that’s at once on-trend and timeless. Can the Brits beat the French at their own game? The cooking at Belon will tell you all you need to know. Since taking over the helm at the Soho restaurant, 30-year-old chef Daniel Calvert has steadily built up a reputation for surprising even the most regular of diners with his inspired evolution of modern French cuisine. Don’t be fooled by his boyish looks—with more than 13 years of culinary experience under his belt, from the early days as a line cook at The Ivy in London to working under Thomas Keller at Per Se in New York, Calvert’s impressive foundations shine through on his concise menu. Whether it’s perfecting his signature sourdough loaf or crafting the architectural beauty that is the pigeon pithivier with figs and amaretto, the young chef ensures that each meal at Belon is impeccably crafted from start to finish—and we can’t wait to see how he continues to shape the restaurant’s culinary offerings in the future. Hospitality is an art—it’s one that can’t be taken too lightly, nor can it be learned too studiously. Sometimes, we’re not quite sure what’s worse: abysmal, sloppy service or that of the perfunctory sort, where you’re not sure if the staff are able to go beyond their carefully rehearsed lines. Neither of these are an issue at this latest showing by Black Sheep Restaurants, where the gloriously campy service (so reminiscent of that of Carbone, a previous Best Service award recipient) will set you in a good mood for days. The blend of heady confidence mixed with the right dash of humility means staff seem genuinely proud of what’s coming out from the kitchen—but not so proud that they’re unable to accept feedback when things don’t go as planned. The little things, such as offering something to nibble on while you wait for a tardy dining companion, or knowing that you might want a bit more pau with your keema, are simple but effective—and becoming all too rare in our hectic dining ecosystem. Our definition of a Local Champion is someone who has made a real contribution to promoting or championing Hong Kong food culture, both at home and abroad—and for the second year in a row, May Chow has proven to be a leader in this particular niche. With Little Bao and Second Draft already cemented on the dining scene, Chow’s mission to give Cantonese food and ingredients their time in the spotlight hit another high point with the opening of Happy Paradise. This raucous “neo-Chinese” bar and restaurant, resplendent in cool neon, is an original homage to Hong Kong traditions with zero sentimentality. Working in collaboration with chef John Javier, the pair have created dishes that firmly plant Cantonese food into the realm of contemporary cool. Forgotten or unfashionable dishes such as sweet-and-sour pork and nostalgic shrimp toast have been zhuzhed up without losing any of their original essence, allowing locals and tourists alike to discover more about our great food traditions. More than ever, we’re thinking about what goes on our plate. 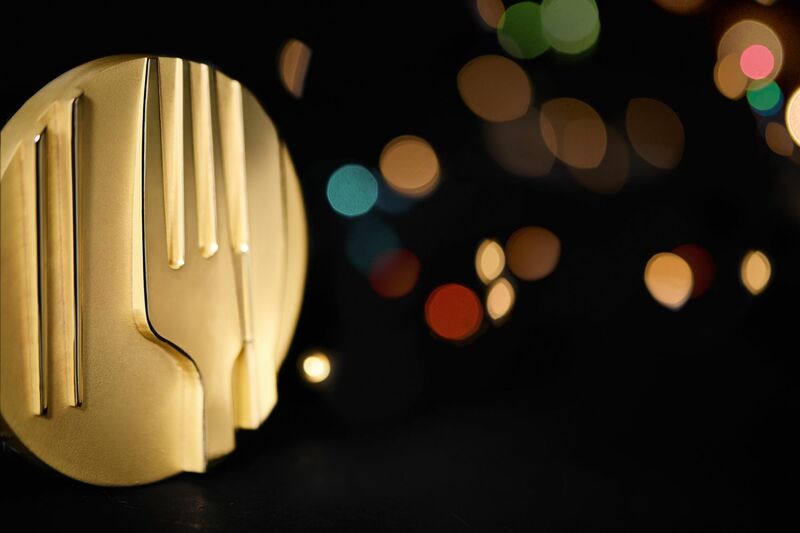 To reflect the urgency of what needs to be done to protect the planet, and to acknowledge the challenges that are omnipresent in the world of F&B, we feel that now is the right time to commend those who are putting themselves forward to enact real change. Peggy Chan’s ongoing advocacy for plant-based cuisine and more sustainable practices in the kitchen is gaining momentum. Despite being a self-proclaimed introvert, Chan has hosted talks and participated in countless panels on sustainability and green eating to sow the seeds of her beliefs. The Collective’s Table series encourages chefs to think more about how they can cook meat-free—and preferably egg-free and dairy-free as well—while getting creative in the kitchen, too. While Grassroots is small, it’s also living proof that every person has an important part to play in the health of the planet—and that doing good doesn’t mean sacrificing flavour. Despite a record number of excellent new restaurants opening in Hong Kong during the eligibility period, there can only be one winner—and Adam Cliff’s modest, no-reservations Thai eatery clearly came out on top as the panel’s pick of the year, beating out fresher (and often fancier) openings. Formerly the head chef of Chachawan, Cliff struck out on his own with his partner, Bella, in late 2017 to launch Samsen—a noodle-centric restaurant with signatures such as wagyu beef boat noodles and stir-fried “fat” noodles, the former a rather esoteric dish that has since sprung into the mainstream. The honest, flavour-forward cooking had us hooked from the beginning—and judging by the snaking queues that flank the building, most of you are probably in the same boat. "A totally different experience in Hong Kong with great attention to detail—from the design to food and everything else." "Great experience beginning to end—the uncle on the door is a legend!" "I think New Punjab Club gives Hongkongers the opportunity to understand and explore an entirely new genre of cuisine." "Fantastic flavour, challenges the ordinary (this is NOT just "an indian restaurant"), and the passion of the staff really complements the experience."